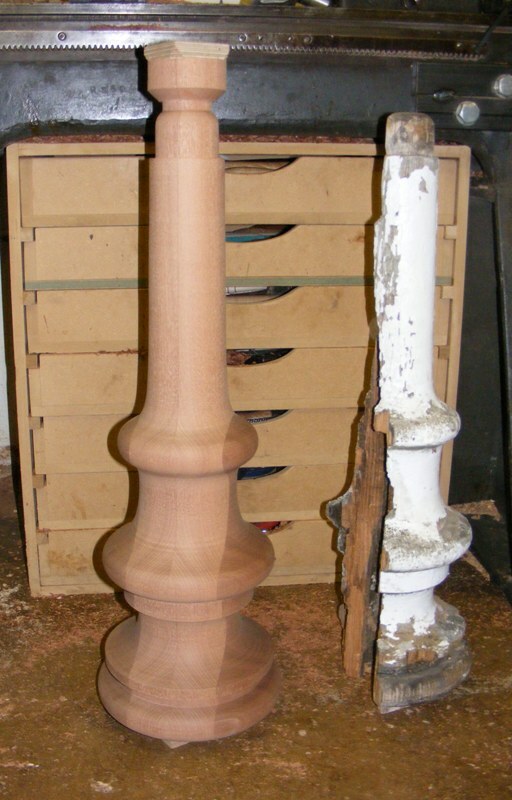 Finials are used on all types of houses and furniture and come in a range of sizes and styles.Phil can turn them to your requirements,he usually works from the customers supply of timber ,but can supply the timber if required.Below are a few finial designs but any turned design can be catered for. 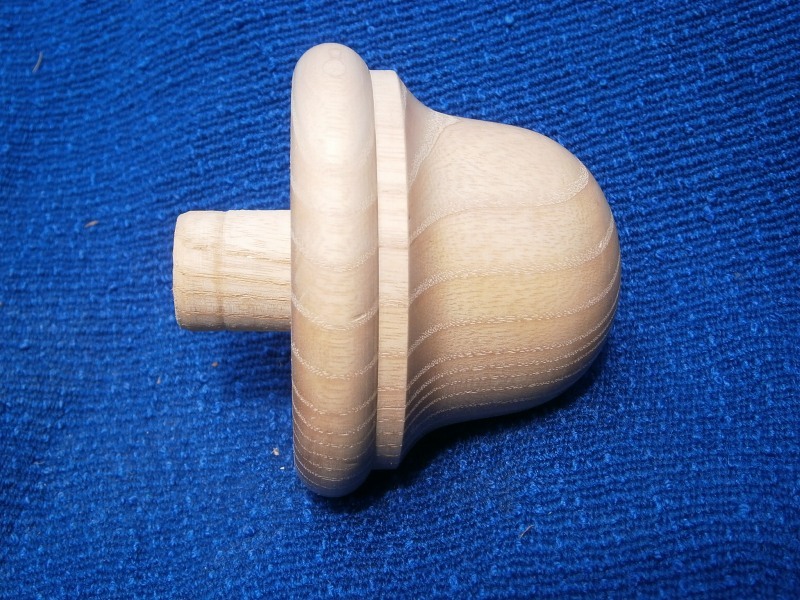 Gable end finials made from Gluelam turned by Phil Jones professional wood turner. Sapele lighting conductor with pattern to the right turned by Phil Jones professional wood turner. A lighting conductor finial which had a joint down the middle so that it would split into two halves,to encase the lighting conductor.This meant that the costs of installing the finial were kept to a minimum..The finial had a paper joint which was held together for safety with wooden Ply driver plates which can be seen in the picture at the top and bottom. Oak Newel post finial hand turned by Phil Jones professional wood turner. A newel post finial in Oak ,Newel post frequently have finials top and bottom of the post,the one at the bottom is called a pendant ,one is shown below. 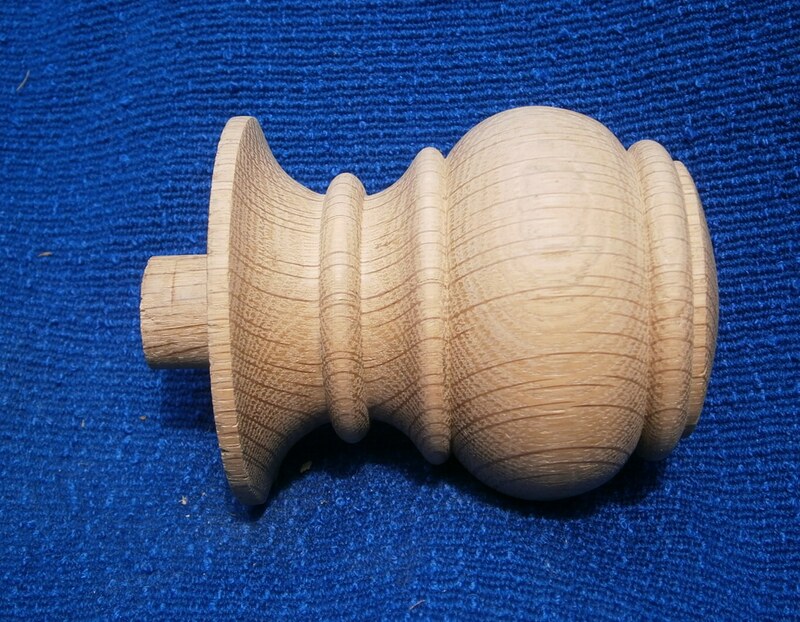 Ash newel post pendant finial turned by Phil Jones professional Wood turner.